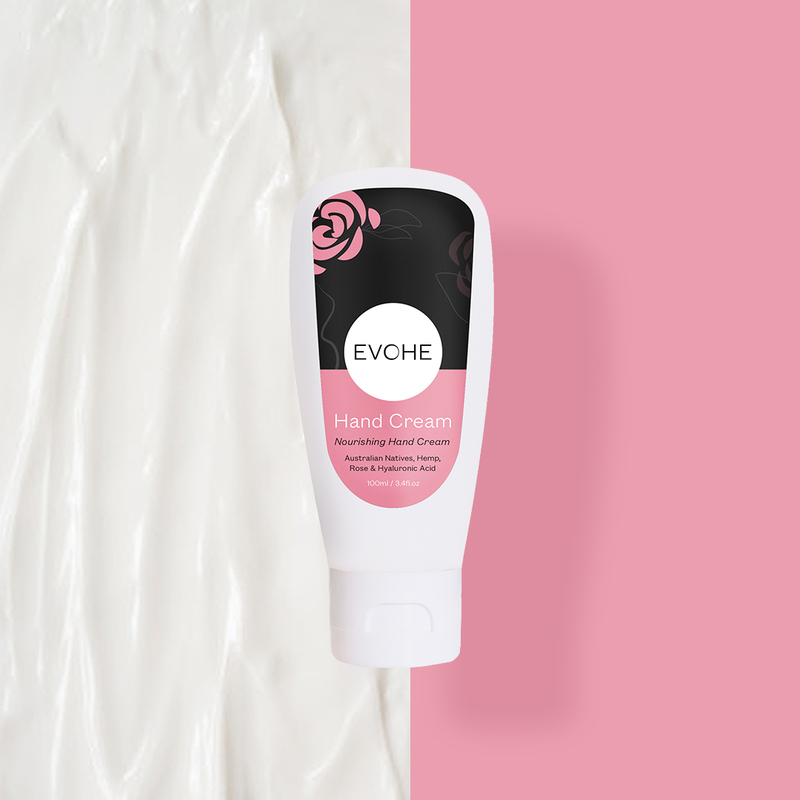 Our new Hand Cream is fast becoming a staple in everyone’s handbag. Add it to your self nuturing routine and let the relief of rose be your ally. It gives you a simple way to say thank you to your hard working hands (they do a lot!). 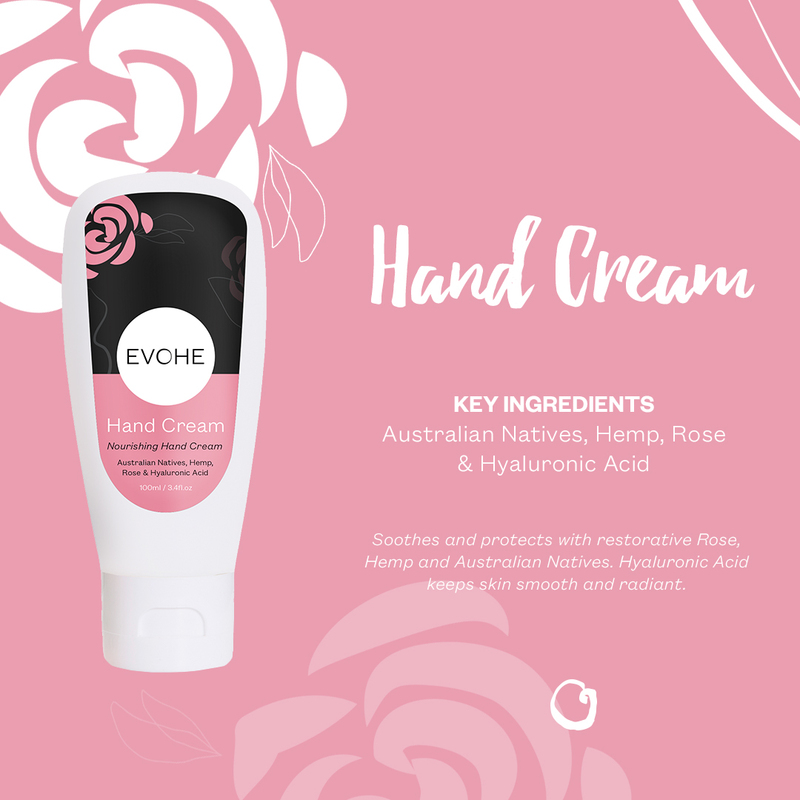 Our key ingredients in this delicious formula are Australian Native Extracts, Hemp, Rose & Hyaluronic Acid. These leave your hands not only smelling beautiful but assist with keeping them hydrated, smooth and radiant. We love Australian ingredients which is why the use of Austrailan Native Extracts were so important to us in this formulation. The addition of Hyaluronic Acid ensures that this Hand Cream is super nourishing for the skin, plus assists with reducing the signs of aging. Other feature ingredients include Broccoli, Davidson Plum and Mt Pepper Berry. Broccoli is known for its skin repairing properties as well as providing environmental protection again sun damage. Davidson Plum is great for anti-aging and works to reduce lines and provide the skin with more collagen. Mt Pepper Berry is great for assisting with wounds and pigmentation while being anti-inflammatory for the skin. Apply a pearl size (a little goes a long way) and hold hands together to warm and activate, massage into hands and cuticles. Bring your palms up to your face and inhale deeply. Enjoy this self nurturing ritual as many times a day as you feel! This entry was posted in Beauty, Body, Dry Skin, Products and tagged dry skin, natural, product, women.